Dr. Fred Matiang’i is the Cabinet Secretary for Interior and Coordination of National Government in the Government of Kenya and the Chairperson of the National Development Implementation Cabinet Committee. He has previously served as Cabinet Secretary for Information, Communication and Technology (ICT), Lands and Physical Planning as well as Education. Before his appointment to cabinet as Cabinet Secretary, Dr. Matiang’i was the Regional Representative in East Africa for the Centre for International Development, Rockefeller College of Public Affairs and Policy, the State University of New York (SUNY/CID). He previously served as Chief of Party for Kenya’s Parliamentary Strengthening Program. Dr. Matiang’i held research and program implementation positions in various civil society organizations in Kenya and conducted research and training for the Commonwealth Parliamentary Association, the World Bank Institute, United Nations Development Programme (UNDP), among others. He taught at Egerton University and the University of Nairobi. 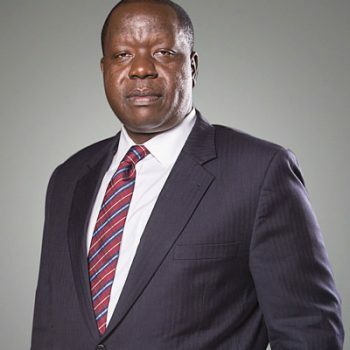 Dr. Matiangi’s education includes a PhD in Communication and Comparative Literature from the University of Nairobi, an M.A in English from the University of Nairobi, and a Bachelors of Education degree from Kenyatta University. His portfolio in the National Development Implementation and Communication Cabinet Committee entails overseeing the central framework for coordination of all national government development programmes and projects, and reporting on the same to His Excellency the President of the Republic of Kenya. It is set in Executive Order No 1 of 2019 and encompasses providing supervisory leadership throughout the delivery cycle, offering guidance on mitigation of challenges, monitoring and evaluating progress and ensuring proper resource utilization and realization of the targeted outcomes.